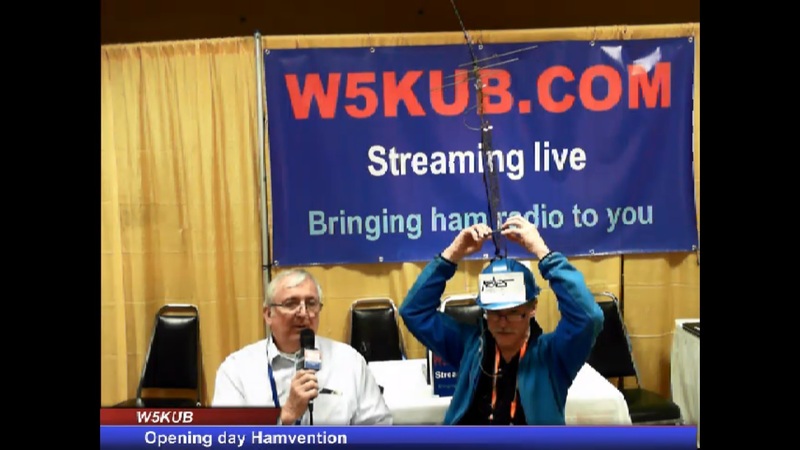 Today saw the launch of the 2014 Dayton Hamvention in Dayton, OH. The Dayton Hamvention is one of the largest amateur radio conventions in the world; boasting a range of lectures, demonstrations and of course, a giant flea-market! Some of the crazy hats on display at Dayton! A few months back, I was seriously considering whether or not to attend the event, but decided against it in the end. Flights to Dayton were not too expensive, at around £800 return and accommodation prices were reasonable. However, I’m due to finish university in about 12 days time. I still have to submit my dissertation (thesis) as well sit an exam. Thankfully, I only need pass grades in both the exam and the dissertation in order to graduate, thanks to the work I put in earlier this year. So, although I could have gotten away without doing some work for a few days, I thought against going and have decided to make sure my university work takes priority. Also, the whole trip would have cost anywhere between £1000-£1200 and that doesn’t include the inevitable purchase of goods at the hamfest! So, a lack of funds and with university work to do, It’s with a heavy heart that I won’t be attending this year. However, I start my gradate job this September, so finance wouldn’t be an issue for attending next year. However, I am cautious about using up valuable holiday time, as I will only get around 2 weeks each year. But, I’ll keep my options open. If I could attend next year, it would be an amazing experience and I would love to meet up with many of my Twitter followers as well as meet other notable people in the hobby. It would also give me a chance to form new connections and I love meeting new people! However, this summer is shaping up to be a great one for playing radio. I’ll be heading to Finland in July to represent the UK during the YOTA event from 15th-22nd July (more on this soon). I’m also in the planning stages of setting up a Special Event Station to celebrate the Commonwealth Games when they come to Glasgow this summer. Finally, I’ll also be up to my usual contesting activities and will be playing around with VHF as well, hoping to catch some of those summer E’s! Lastly, my dad is planning a trip to Chicago during the summer for business, so I’m hoping I can try and ride along with him. This would give me a chance to visit the US again and I could even travel around and hook up with a lot of the hams I’ve spoken with on Twitter and on the air and who have become good friends. If you are using Twitter, make sure and use #hamvention to keep in touch with everyone at Dayton! ← CQWPX SSB 2014 – How did it go?